I have a GameStop brand wired Xbox controller that I am trying to use with Dolphin to play GameCube games. I can set it up without an issue and when I test it in the setup screen it works fine (i.e. the boxes blink when I hit the right buttons and I can move the little squares for the joysticks around). But, as soon as I start up a game, it stops working. I have tried 2 different games (Luigi's Mansion and Pikmin) and neither of them worked. Everything works fine with the mouse/keyboard in game, and the Xbox controller works fine in non-dolphin games (i.e. fallout). If you have any idea what is going on, then please tell me! 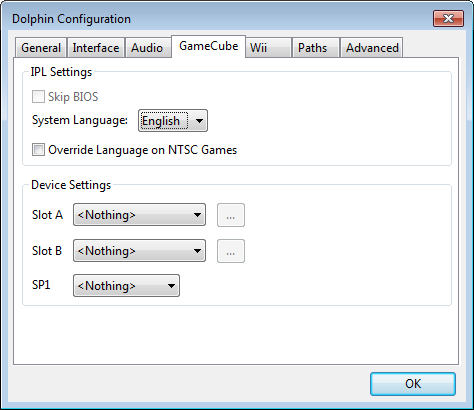 Click the Config button in Dolphin and go to the Gamecube tab. Make sure Port 1 is set to Standard Controller. 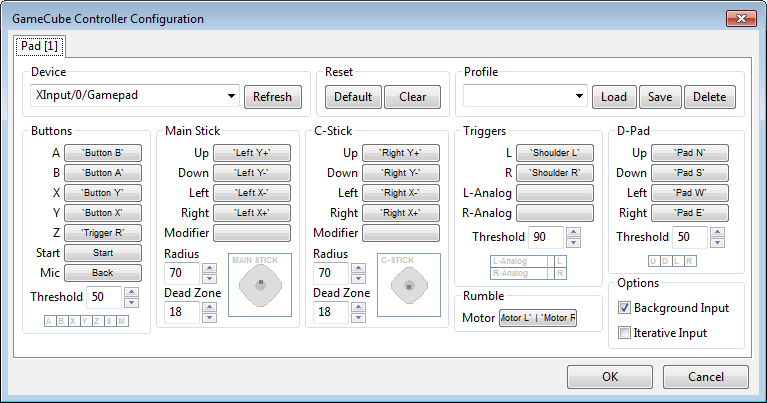 If you're still having issues, post screenshots of the Gamecube tab as well as the configuration for your controller. See the red dots in the joystick settings? The controller is working in Dolphin. It's possible you are clicking out or something along the way and that is keeping it from reading the controller. Turn on "Background Input" and see if that solves it. No, that didn't fix it. As far as I can tell, it works fine everywhere except in a game running on dolphin. ....Oh. That's why. You assigned the controller to Pad 2 instead of Pad 1. Click the Pad 1 tab and put all the options there, and it will work. That seems to have fixed the problem. Thanks a bundle! I have the same issue. I checked and Dolphin 4.0.2 (stable) has all the options, but this does not seem to apply to the version I am currently using, 4.0-7021. Dolphin recognizes my controller and I can configure it under 'Controllers' -> 'Configure', but I can't select a Pad number in there and I don't see any 'Port' options in the 'Options' -> 'Configure...' -> 'GameCube' tab. Please don't necropost. Make your own thread please. 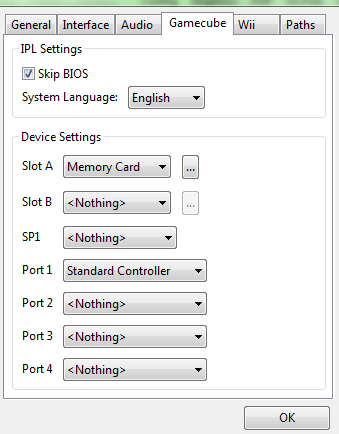 But I can give you something of an answer - the port options moved to the controller configuration. It's literally right there in one of the screenshots you posted! But that isn't what his problem was. Previously, in the GCPad there were tabs at the top to change which controller you were adjusting regardless of the port it was inserted into. So say, you have a controller assigned to port 1 and port 2, and open the GCpad options, you could adjust either port 1 or port 2 from that window. He assigned his controller in the Port 2 tab, when he was wanting to play in Port 1. Whoops! Now it doesn't work that way, and there are much fewer chances of confusion. It's things like this that are why we encourage people to make new threads instead of posting in old ones, your problem isn't relevant to this one. Anyway, you have a standard controller assigned to port 1, and there doesn't seem to be anything odd in the screenshots you provided. Make a new thread with more details and we'll try to help.